A working-class draper’s assistant (Michael Redgrave) is fired from his job after a night of carousing with an actor (Arthur Riscoe), then comes unexpectedly into a sizable inheritance. 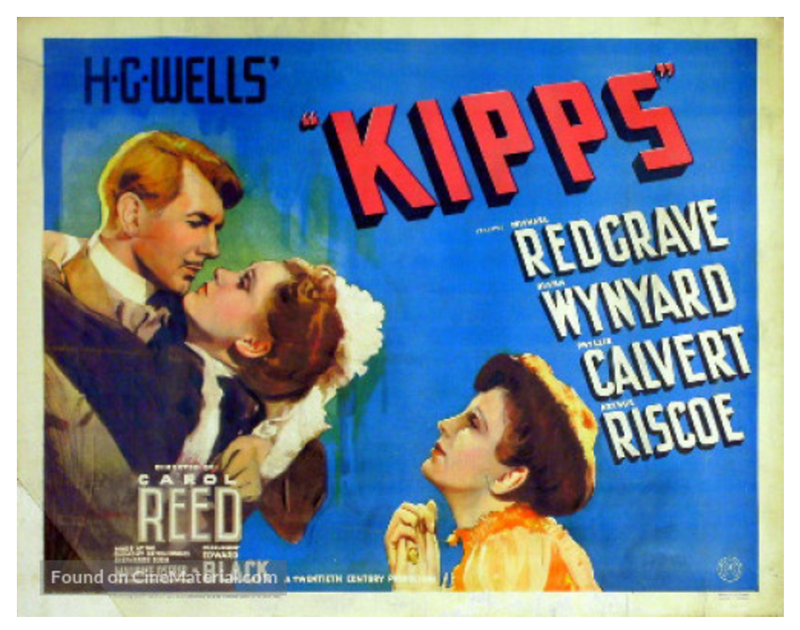 Kipps (Redgrave) tries to enhance his status in order to impress a woman (Diana Wynyard) he hopes to marry, but is simultaneously attracted to his childhood sweetheart (Phyllis Calvert), who is now working as a maid. 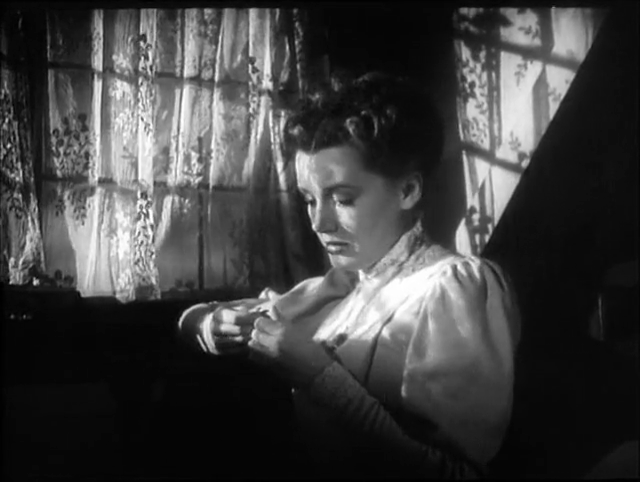 Carol Reed directed this adaptation of H.G. Wells’ novel about an eminently likable chap (Redgrave) — a “simple soul” — who longs for intellectual improvement and finds himself smitten by his aloof woodworking instructor (Wynyard). When a string of wild circumstances initiated by a drunken actor (Arthur Riscoe) lead Kipps into unexpected money, he’s swept into the fold of the very people he once idolized — including the owner of a “self-improvement” college (Max Adrian), Wynyard, and Wynyard’s barrister brother (Michael Wilding). Kipps’ story transpires in a rather predictable way from there: he misses his old chums, and finds he’s much more comfortable with his childhood sweetheart than with snooty Wynyard (who knew social class mattered so much?). Some tension arises around what decision Kipps will make between the two women, and there’s an additional narrative twist near the end — but this is otherwise a fairly straightforward tale of class aspirations and conflicts that will be of most interest to fans of the novel or Carol Reed. No, though it’s worth a one-time look by Carol Reed fans. First viewing. Not must-see – however; though this isn’t one of Reed’s most memorable films, it benefits greatly from his confident direction. The film does move along swiftly, making its solid dual point about the hazards of snobs (and those who aspire to being snobs, as well as those who leech off of them) and the inherent danger in remaining woefully naive. There’s a sort of Dickensian feel to this story and one is reminded a bit of ‘Oliver Twist’ – where the good people lean toward being too good for their own good, and the bad are the (socially ambitious) oppressors. Fortunately the just-plain-folk are also about: Kipps’ co-workers and the actor who is ultimately a godsend (Riscoe is, thus, a welcome relief). The main drawback here is the character of Kipps himself. He seems to be led whichever way is the most persuasive at the time and he questions almost nothing. Of course, his early work experience encouraged him to be that way – and part of the point of the story is its warning re: insufficient development of personal character. Still, it makes Kipps frustrating to watch and it doesn’t give Redgrave a whole lot to play. Note: I found it interesting noting the appearance here of Max Adrian (as Chester). IMDb tells us that his career was mostly on-stage and in television – but he would eventually come ‘under the wing’ of Ken Russell, who would put him to some effective use in ‘The Music Lovers’, ‘The Devils’ and (esp.) ‘The Boy Friend’.